Gainward presents the GeForce GTX 680 Phantom, this model has a 1084MHz base clock, 1150MHz turbo boost, and 2GB GDDR5 clocked at 6300MHz. It is really a “silent monster”, the fastest GTX 680 in the market and extreme cool under gaming environment. Under 3D benchmark, it is 12.6% higher than reference board (3DMark 2011 Xscore). While in gameplay, it is around 10% higher. To compare with the competing GPU in red camp, it performs 27.7% higher in 3DMark 2011 Xscore and exceeds amazingly 32% in hot titles gaming performance. 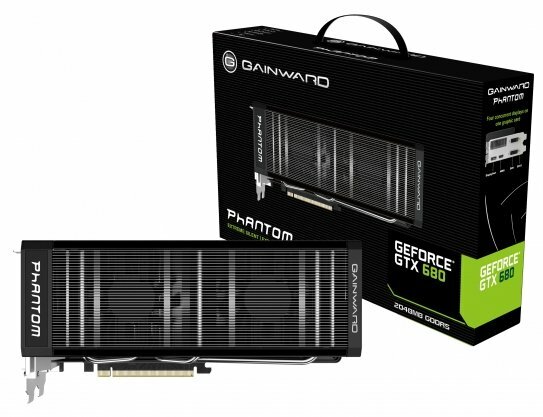 Beside the cooler performance, the Gainward engineers’ contribution for their users is to provide superior hardware design for GeForce GTX 680 Phantom. A 6-phase with DrMOS PWM design for the GTX 680 cores brings a lot more benefits for the over-clocking capability. With factory over-clocked to 1150MHz boost clock (1084MHz base clock) and 3150MHz (DDR6300) memory clock speed, the GTX 680 Phantom also can be over-clocked easily. Along with new Phantom series announcement, Gainward proudly introduces the new Expertool utility for GTX 680’s dynamic clocking to tap into this powerful board. Users can utilize this new tool to enjoy the experience of the performance enhanced and quiet gameplay.